The Fringe is HUGE and awash with guys who all start to merge into one after the first couple of days so a USP has become the Holy Grail of the month-long comedy bubble. Get that and you can get the punters in through the door. So as USPs go being a Danish bagpiper who does comedy is pretty much up there. Claus Reiss is the owner of all these credentials and he weaves (or should that be pipes?) together a neat little show perfect for a lunch-time slot. Tall, charming – with a touch of gaucheness – and dressed in the full kilt kit-out he does requests (well, sort of), games, a bagpipe lesson and friendly interaction with the audience. The comedy is easy-going too with a slight lapse into deep-fried-confectionery territory but I’ll forgive him for that. All good family entertainment but even if you don’t have a family you should get yourself along. And – even if you’re not Scottish – you’ll love the inevitable, rousing rendition of Scotland The Brave. Gaun yersel!! 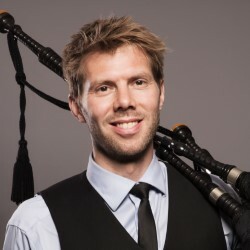 This entry was posted in 2015 Edinburgh Fringe Reviews, Uncategorized and tagged Claus Reiss, Danish bagpiper, Edinburgh Free Fringe, Espionage, family friendly Fringe shows, lunch-time Fringe shows, musical comedy. Bookmark the permalink.